The Albion College Concert Choir is a vibrant group of students, faculty, and staff from a variety of departments and programs on campus as well as members of the Albion community. The choir has a broad repertoire and performs several times throughout the year. 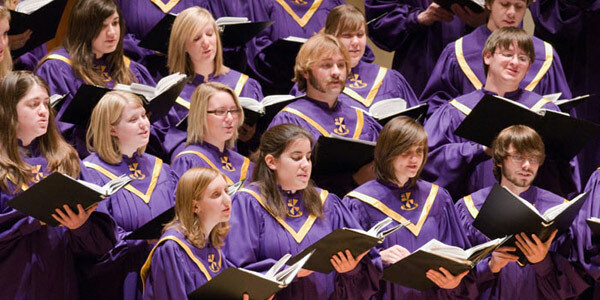 Major campus performances include the Homecoming Concert (featuring the Albion College Symphony Orchestra), Lessons and Carols (in early December), the Spring Concert, and Commencement. In the past ten years, the choir has performed at Carnegie Hall in New York City and toured the eastern United States with performances in Ohio, Pennsylvania, South Carolina, and Florida. Tuesday and Thursday from 4:45 - 6:45 p.m.